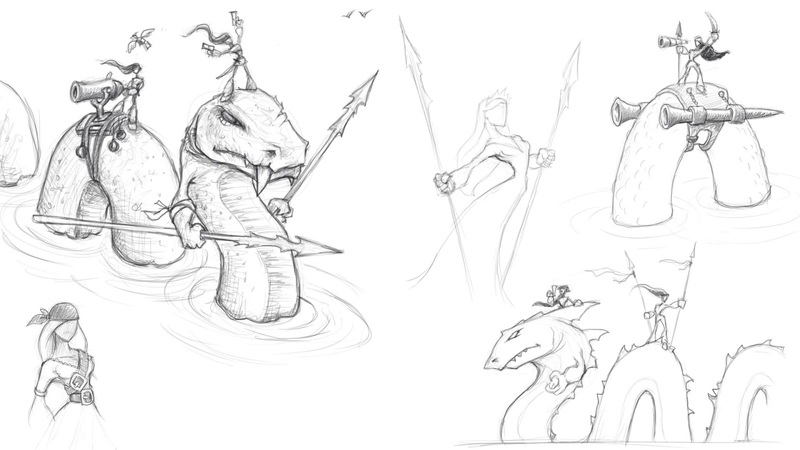 I had an idea the other day that took the idea of giant loch-ness-like sea monsters could team up with a band of battle maidens of some sort to bring a different take to my game ideas. 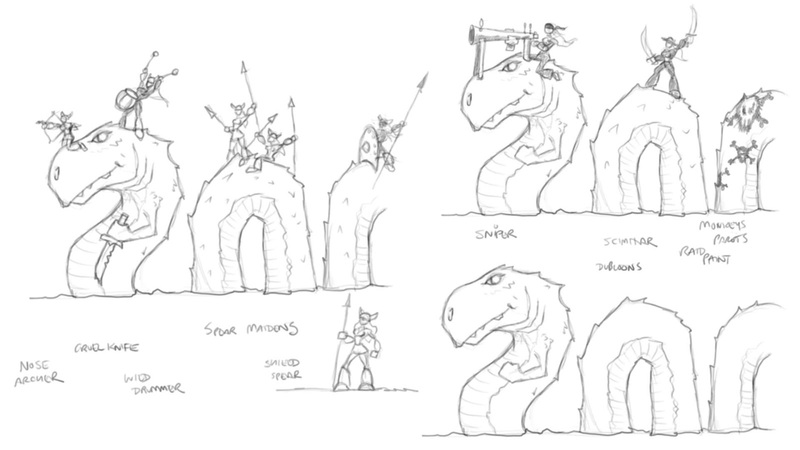 The alliance could come from a shared need to recapture an island from nefarious foes or to battle ships on the open seas and defend their otherwise hidden home. 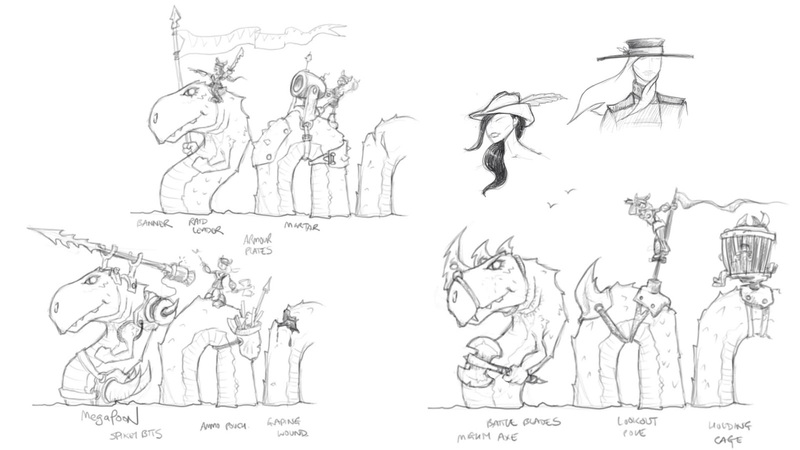 The pics below show some sketch compilations from a few files that certainly hint at something kinda fin to explore further. 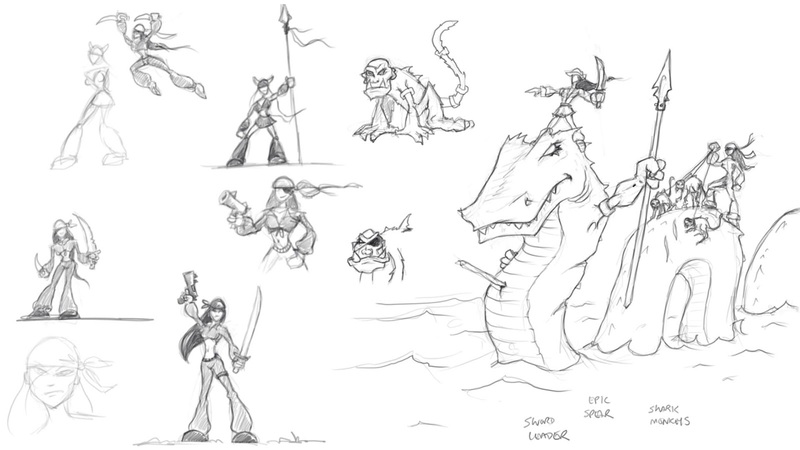 You will see pirates, amazons and other ideas here which each bring something cool to the mix.